We were honored to accept the INDUSTRY PARTNER BEST USE OF FLOORING Award for the fifth consecutive time at the ASID TGCC 40th Ruby Awards for this Hill Country home’s Entry and Vestibule. The Versailles pattern in the Entry was milled from the aged and weathered faces of reclaimed timbers. 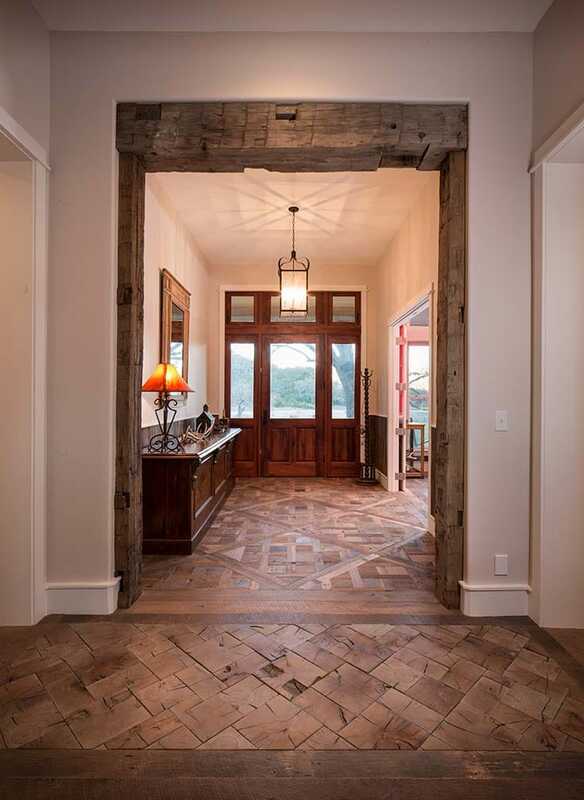 The Vestibule end grain block pattern was created onsite like a jigsaw puzzle, using leftover end pieces from reclaimed beams installed in other parts of the home.